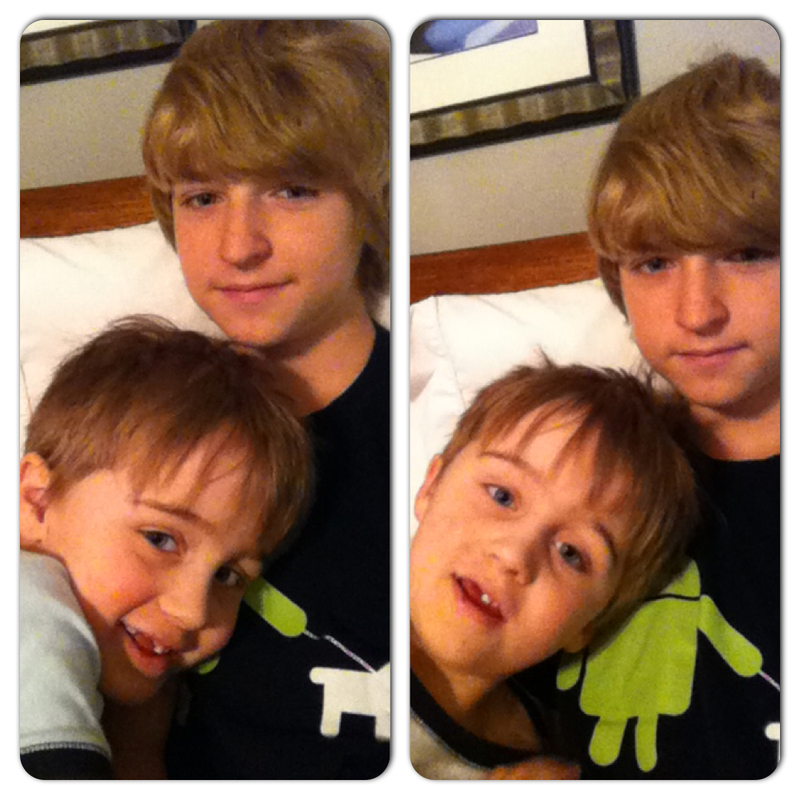 helping your child with autism make friends: matt & max. How is it already the middle of August? 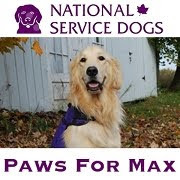 We've had an awesome summer so far and Matt and Max have really been through a lot together - including Max being sick and out of sorts and treating Matt to an assortment of annoying behaviours. Lucky for Max - and me - Matt has taken it all in stride. This week was a balanced week. After getting over his cold, Max has become calmer and less irritable so it was quite an easy first half of the week. However, with his recovery of one problem another arrived. His new teeth have begun to come in which I can imagine wouldn't feel too good. This led to him deliberately doing things he wasn't supposed to because he needed an outlet for his frustrations. He has also become quite taken with music. Every time he gets upset I can put on his children's music CD and he calms right down. This was a good week with Max. beachbody ultimate reset: final results! 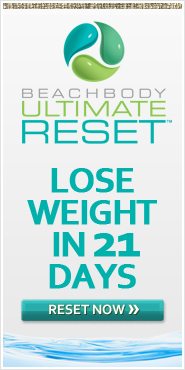 We have completed the BeachBody Ultimate Reset! It wasn't always easy, but we did it and wow do we ever have awesome results to prove how hard we worked! I lost 16 pounds and 15 inches total - 3 off of my waist and 6 off of my hips. 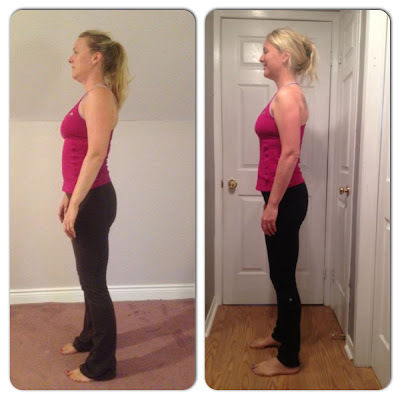 Tracy lost 8 pounds and 15 inches total - 2 off of her waist and 3 off of her hips. The thing that I loved the most was that throughout the 21 days, I felt very calm and centred. I didn't have to take medication for my anxiety once, which blows my mind. The depression that has been plaguing me for the last 18 months has also lifted significantly. My skin has cleared up, my PMS symptoms were non-existent and my energy was through the roof. And by through the roof I mean, I repainted my dining room, refinished my dining room cabinets and table, and cleaned out my entire garage so that I can put my new Ford Escape in there this winter. I'm not kidding, it was bananas. What's next for us? Tracy is ready to start P90X and Shakeology next week. I am also starting Shakeology again and will be starting P90X2 at the end of the month once I get back from visiting my folks in BC. Until then I will be mixing up some hot yoga and Insanity to get me back in the swing of things. Would I recommend the Ultimate Reset to everyone I know? Absolutely! And if you want to do it, let me know because I just became a BeachBody coach, so if you order your BeachBody products through me you are also helping contribute to my son Max's autism therapy! 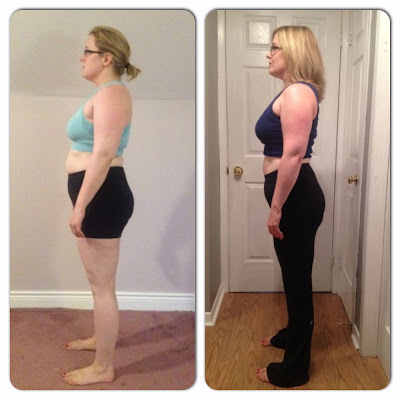 We just completed week 2 of our Beachbody Ultimate Reset! So far I am down 12 pounds and I am really noticing the changes in my body. Tracy is down 5 pounds and looking awesome. I didn't mind the detox drink as much as Tracy did, and I am finally getting used to the alkalinize drink. My skin is glowing, my hair is shiny, and my energy is fairly high. Sleep is still disrupted, but I think that's mostly due to having a lot on my mind. 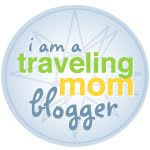 I can't wait to post our final results and before and after pictures next week! Only one more week to go and we are going strong (though I am looking forward to having my morning coffee again)! This past week was a tough one. Max was sick with a wicked summer cold. His behaviour went sideways and he tested all of us with his whining, squealing and shrieking. I was fairly certain Matt was going to tell me he'd had enough and would be back once Max was back to his old self. But Matt stuck it out and once again blew me away with his maturity and patience. This week was a little bit more difficult than other weeks. Since Max was sick he had become more irritable and his way of conveying these feelings were by yelling more often and louder. This was hard for me because he also would start getting upset at things, and when I removed the thing that made him upset he got upset again. This was lose-lose situation. Other than that we went to the park for the first time together. He seems to have an infinite amount of energy when surrounded by climbable objects. So other than him not feeling well, it was still a successful week with Max.